In order to broaden its commercial business development and sales efforts in the U.S. and Canada, Stewart Filmscreen has appointed Victoria Ferrari and Stephanie Hunter to the positions of regional sales managers, and Zach Hurvitz to the national consultant liaison position. All three new team members will be instrumental in developing new business opportunities and managing customer and partner relations throughout the U.S. and Canadian commercial AV markets, the company says. Victoria Ferrari's appointment to this role is an acknowledgement of her contributions to the AV field and her reputation as a sales support leader within the industry. Victoria has 13 years of experience selling and supporting technology with a focus on AV and is a Certified Technology Specialist (CTS). 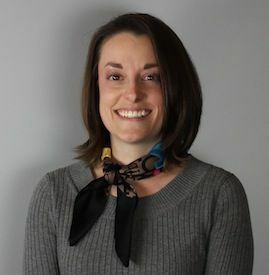 Prior to joining Stewart Filmscreen's team, she was the North America sales manager for Boeckeler Instruments, Inc., where she was responsible for bringing new products to market and increasing new product sales. Victoria will assume her new role immediately. "I have no doubt that Victoria will be a fine addition to our team and contribute to our goal of reaching the next level in future commercial sales growth," said Stewart Filmscreen president Grant Stewart. "Victoria has the right balance of sales, customer support, and technology expertise to develop key customer relations and partnerships. Her extensive knowledge will help Stewart achieve long-term commercial sales goals and implement future strategies." Also joining the Stewart Filmscreen commercial sales team after eight years of successful sales and business development leadership in the IT/AV industry is Stephanie Hunter. For the last two years, Stephanie has been working at BP Marketing Group as the regional sales manager in the Rocky Mountain region and was responsible for sales of Pro-AV integrators and supporting manufacturers, including Stewart Filmscreen. Stephanie will now assume the role of regional sales manager, Central Region for Stewart Filmscreen. "Stephanie is an excellent addition to our commercial team and she has a great understanding of the IT/AV industry," said Stewart. "Stephanie has already established a valuable on-going professional relationship with Stewart from her previous position at BP Marketing. She is also well versed in the government, commercial, and education marketplaces, three key commercial areas we are targeting for growth." Zach Hurvitz joins the Stewart team as national AV consultant manager, a key liaison to consultants, partners, and clients throughout the industry, as well as to Stewart's internal sales teams. Zach holds a B.S. degree in Business Administration from Northeastern University. No stranger to display and projector technologies, he was the senior solutions consultant at Scalable Display Technologies, a company specializing in auto-alignment software for unified displays. Part of his responsibilities included designing and developing multi-projector display systems, the setup and deployment of new sales strategies in the commercial marketplace, and developing distribution channels internationally and domestically. "Zach's background at Scalable Display Technologies aligns with our business focus, which is delivering immersive display experiences to the military simulation, digital signage, and other relevant commercial marketplaces," said Stewart Filmscreen president, Grant Stewart. "His experience allows us to drive more commercial business by introducing our products and solutions earlier in the sales cycle, and provide an enhanced level of support for national partners and customers. We enthusiastically welcome Victoria, Stephanie and Zach and believe they will be huge assets to the team for years to come."